So this is the park that started it all, our love for hiking. 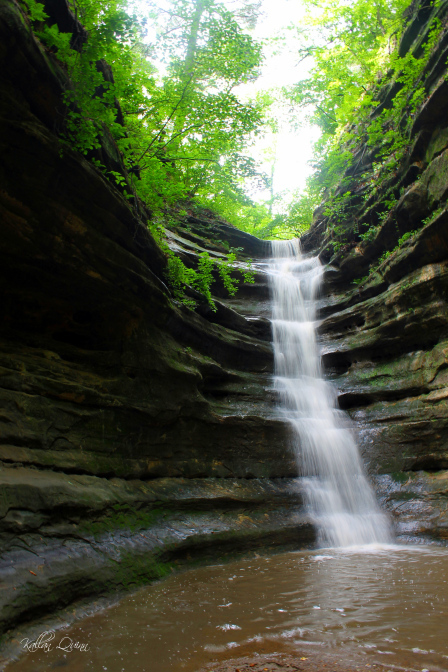 I was watching TV one night and a commercial came on for Enjoy Illinois and there was a really quick picture of a canyon with a waterfall. 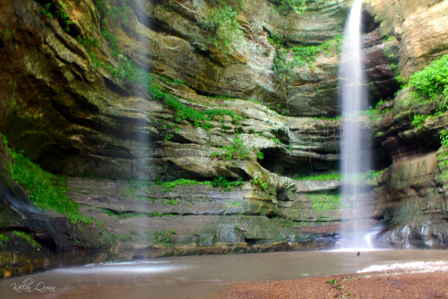 I was like “no way, that is not in Illinois”, but sure enough I got on their website and the picture was from Starved Rock State Park. So we took a three day weekend and headed up there. 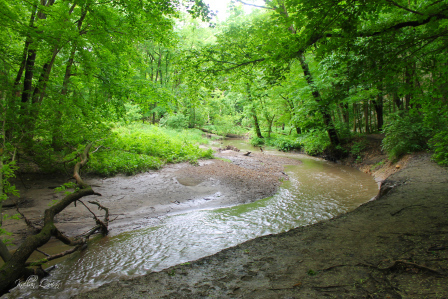 The park is about and hour and a half from Chicago, just off of I-80. 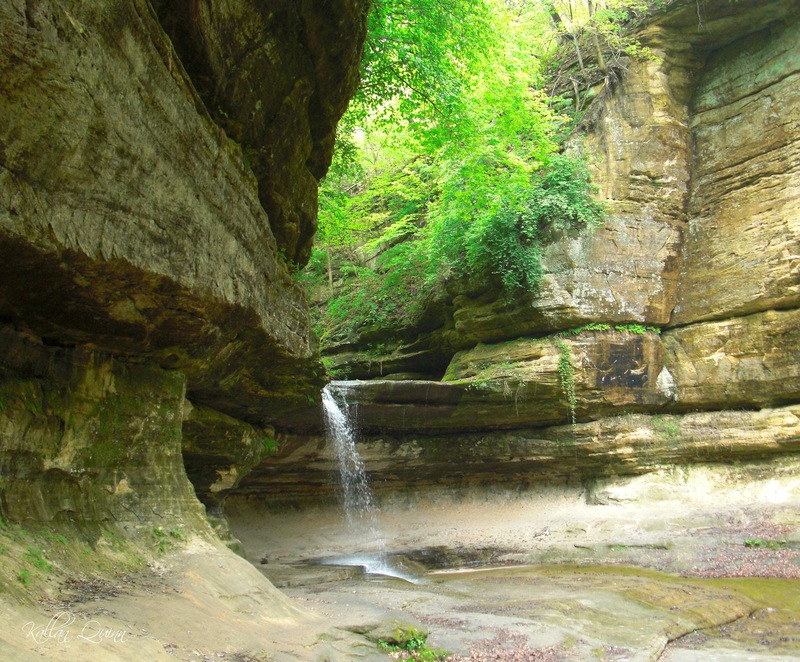 The park has 13 miles of trails and tons of waterfalls. We have now been to the park twice and it is just as impressive the second time around. We usually hike to St. Louis Canyon first. The trail from the Lodge is nice passing by Aurora, Sac and Kickapoo Canyons. If you want a bit of a shorter hike, you can park your car at the parking lot located off of Route 178. 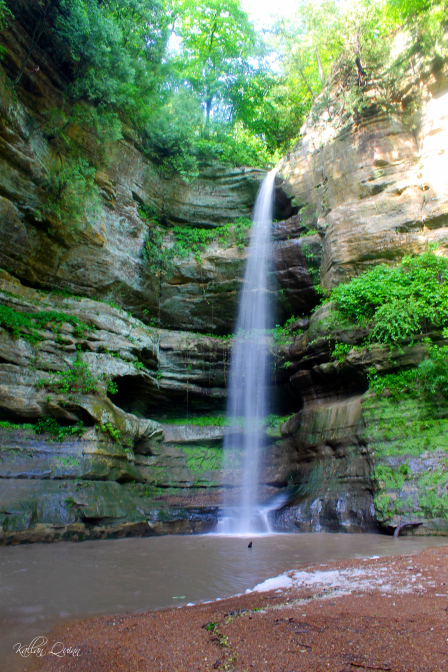 The waterfall is impressive, but also look up at the towering bluffs above you. To me, this canyon makes you feel so small. 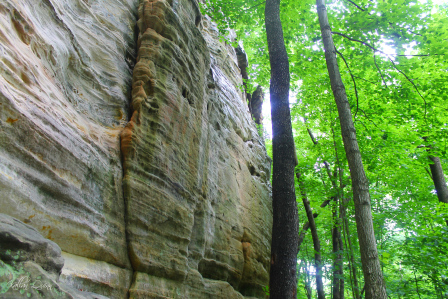 Once back at the Lodge, we usually hike the trails around there heading towards Wildcat Canyon. This is one of my favorite waterfalls in the park. 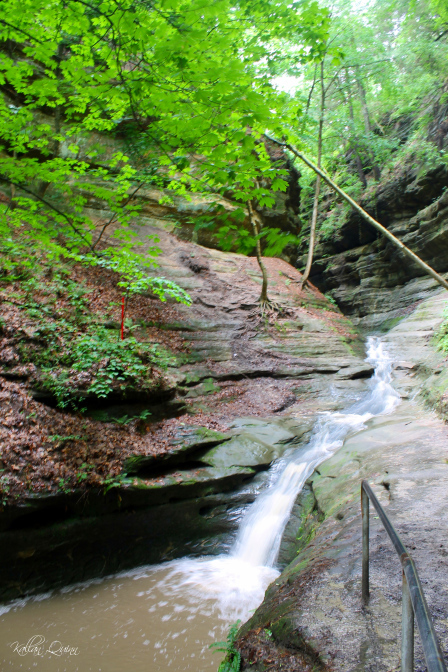 There are two viewing platforms above the waterfall, but be sure to take the stairs that lead you to the base of the canyon. When we were there in June of 2013, we had a lot of rain lately and actually got to experience a double waterfall in Wildcat Canyon. From here we continue around to the Beehive Overlook, Eagle Cliff Overlook and Lover’s Leap, all which have views of the Illinois River and dam. 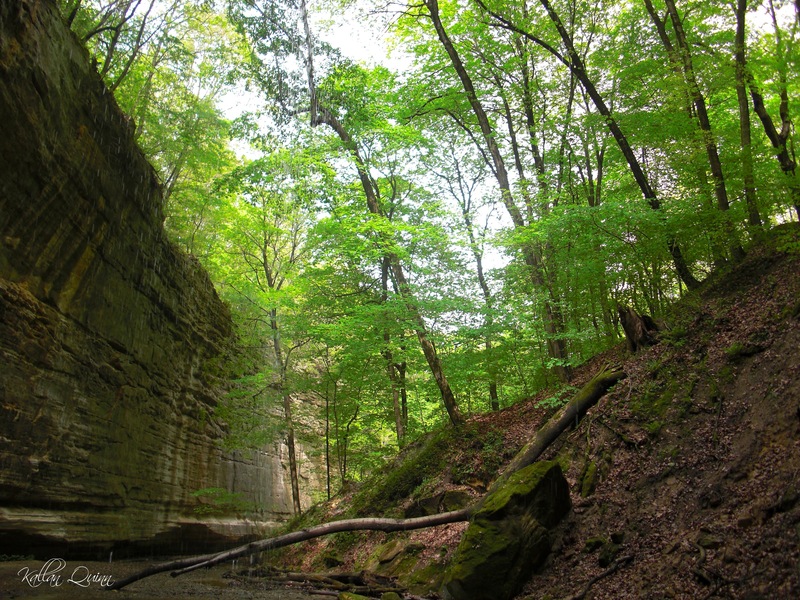 When you are heading back towards the Lodge, do not miss French Canyon! A trail will lead you to the opening of a canyon and most people stop here and turn back, but DON’T! One of the most gorgeous canyons and waterfalls! Due to flooding we were unable to visit several canyons in June of 2013, but we were able to see them on our first trip to the park. We parked at the parking lot near Owl Canyon and made the loop for Tonti and LaSalle Canyons. One thing that I love about this park is that there are so many canyons and waterfalls, but each one of them is different in their own way. We finally headed towards Ottowa and Kaskaskia Canyon and made the short trip to each one of those. No matter what trails you hike in the park, spectacular views are around every corner. 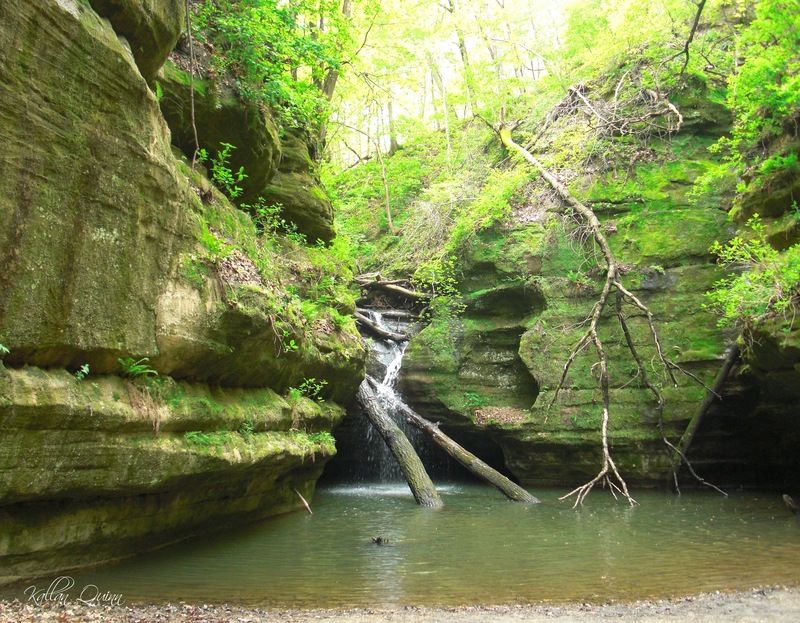 If you are looking for more hiking near Starved Rock, check out Matthiessen State Park and Buffalo Rock State Park!